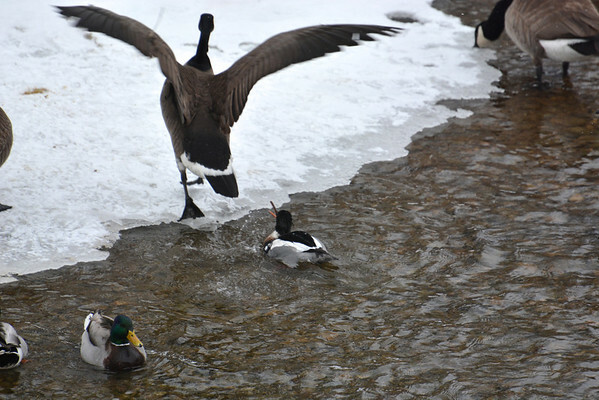 Southern Ontario rivers have been inundated with flocks of wildfowl recently, as it has been speculated this invasion is because the Great Lakes are frozen and they are seeking other open fresh water. 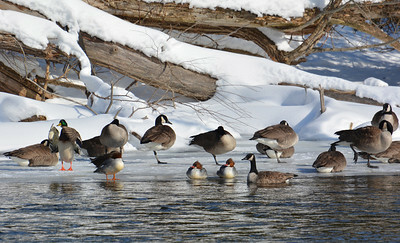 Guelph itself has shown to have a great diversity of wildfowl being reported on eBird.org – particularly along the Speed River. 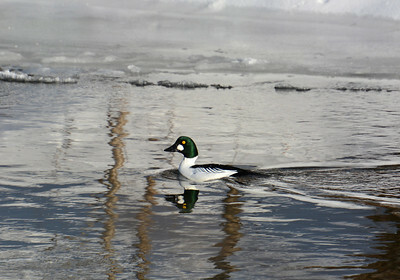 The Speed River has several access points to view the waterfowl (Niska Road Trail; Speed River at the Hanlon, Guelph Humane Society Trailhead; the Boathouse; and others to name but a few). Local Birders on forums and on eBird are predicting that this diversity will not only last, but could prove interesting over the next 2 to 3 weeks, as we approach March. If you are looking for rarities for this time of year, or simply want to enjoy what the Rivers of Guelph are offering – then head into the City and be amazed by the diversity and beauty of wildfowl that is appearing in sometimes, great numbers!